Darksiders 3 is nothing like the previous games of the franchise in terms of combat and all it need is just a new patch. 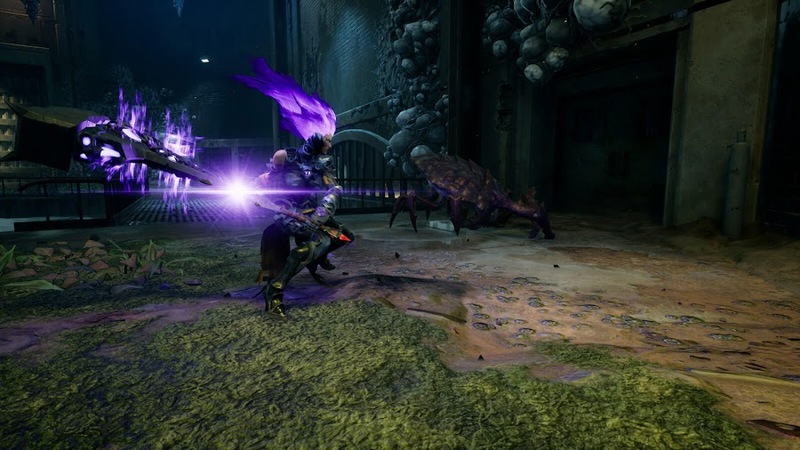 Not only Darksiders III came as the latest sequel of the hack and slash action-adventure game series Darksiders after long departure, it returned with a little improvement to the combat system that is truly inspired from to refresh things. 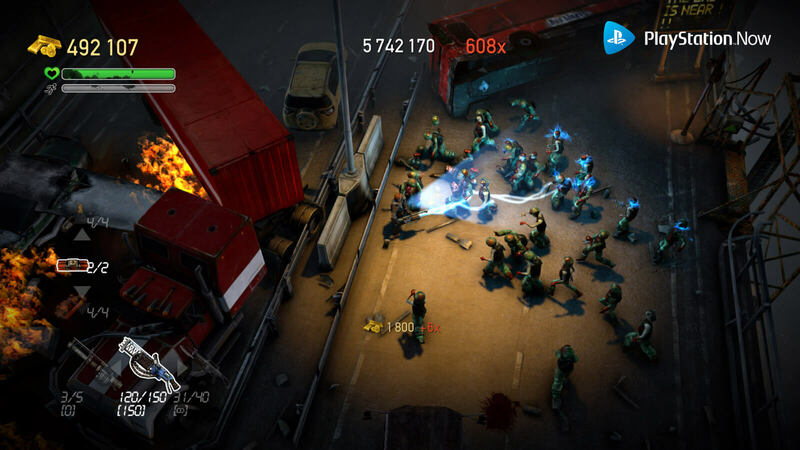 Although fans and players in usual has considered the game on a positive note, not everyone was too pleased with the newly revamped combat style and developer Gunfire Games took that to account by releasing a new patch to bring back the classic gameplay. According to the patch notes, a brand-new combat mode "Classic" has been added along with the pre-existing "Default" and players are allowed to choose between these two different modes in gameplay options whenever they want. Just like the past games from the series, Fury can now dodge to cancel attacks or instantly use items without waiting for the animation to play out. The best part of this is that, the change of combat mode does not affect your achievements or difficulty anyhow. Some other improvements include the raised level cap of 200 and the addition of a few new checkpoints. Enemies are re-balanced and issues regarding random crashes are fixed. Fury is empowered with given better ledge grab detection while causing more damage in her Havoc Form. Both developer Gunfire Games and publisher THQ Nordic is certain that the new patch will fix things up and make players feel more like the early games of the franchise. 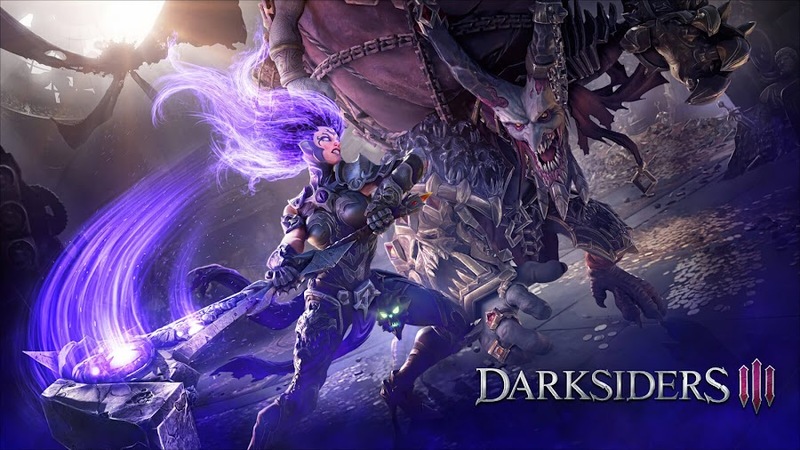 Darksiders III is currently available worldwide on PC, PlayStation 4 and Xbox One. 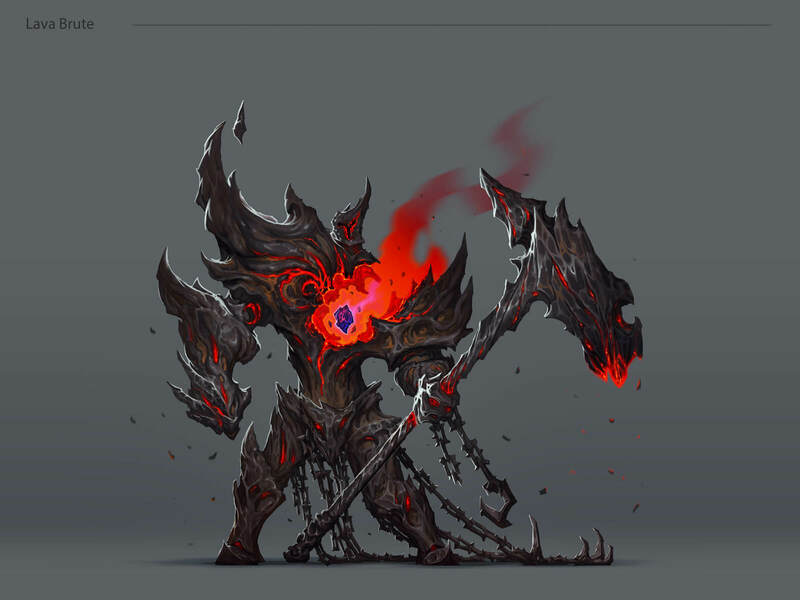 Gunfire Games offers you to witness the concept art of Fury and the Seven Deadly Sins from Darksiders III. From the very beginning, hack and slash action-adventure franchise of Darksiders did one thing constantly and that is creating a post-apocalyptic scenario in a modern world right. Whether it is the hellish creatures, surrounding environments or weaponry, they just set things as it should. 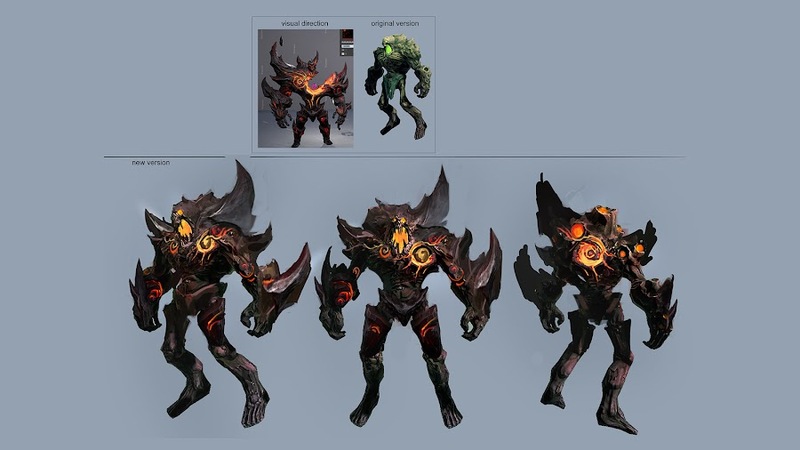 So, as developer Gunfire Games and publisher THQ Nordic slowly march towards the launch of Darksiders III, the latest release from the series, we got our hands on a series of concept art pieces that helped the studio translate apocalypse into the game from art. Interpreting an entire planet consumed by the end times and how it has been taken over by otherworldly beings were a lot to work with but then again, nothing was off limits for the artists to go out for and follow any directions if that serves the purpose. The biggest spin the second sequel took is that they introduced a female protagonist, Fury as the third horseman of the Apocalypse. She is a vengeful mage who is unlike her brothers War or Death and has a lot to offer when she is on the lead. 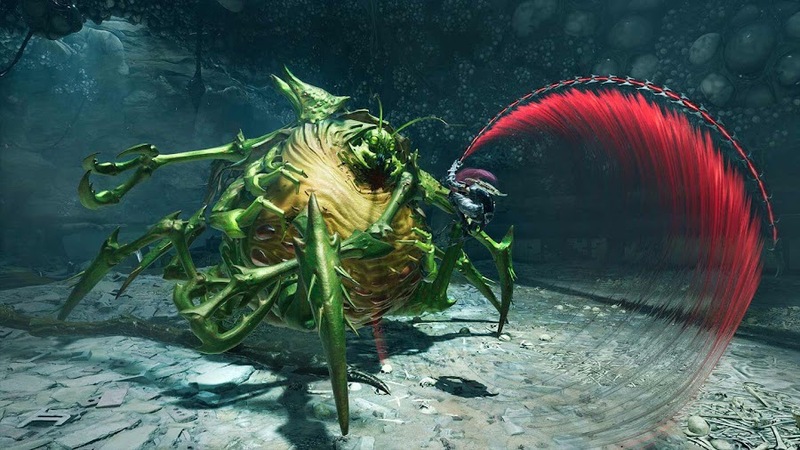 Also, the game features a near-endless group of enemies that would come across player's path as they stomp though to encounter The Seven Deadly Sins in the endgame. 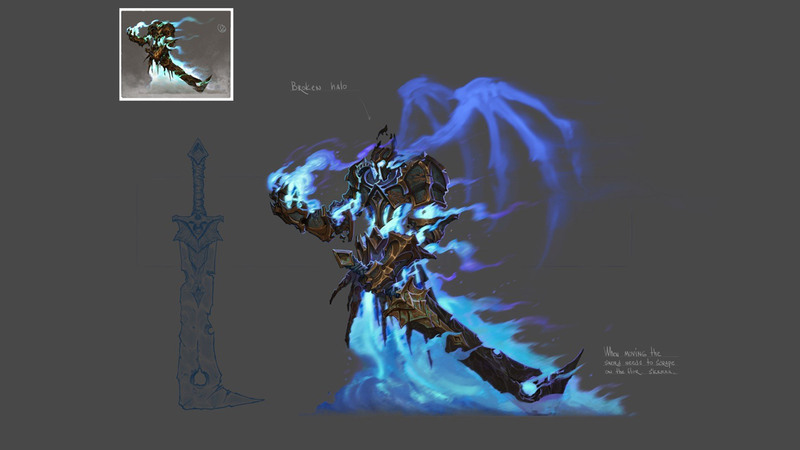 As the story continues further, design inspiration from previous Darksiders game will not go unnoticed to keen eyes. The game goes deep into the fiery pit of Hell and comes back to Earth looking for a piece of Heaven over and over again. The gameplay mechanics and the plot background perfectly support that idea to take it to a new height. Within hours, Darksiders III launches worldwide on PC, PlayStation 4 and Xbox One for a legion of dedicated fans and of course, to the casuals looking for a good time. On that note, you can also check out Darksiders (2010) and Darksiders II (2012) to catch up with the latest title if you are interested. 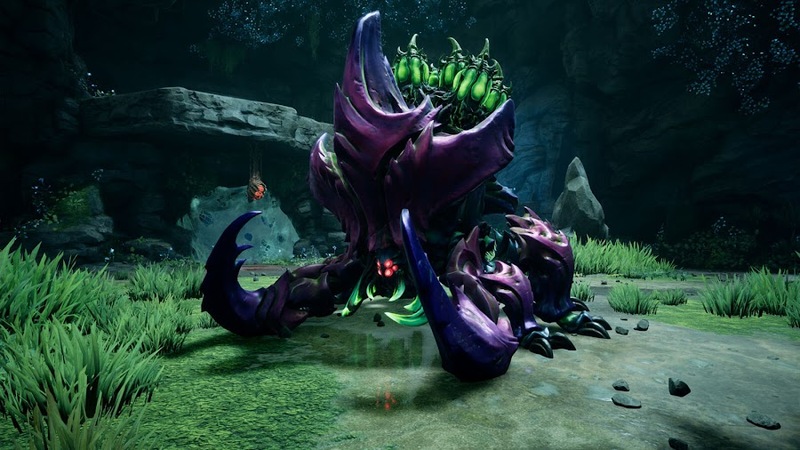 Introducing the Force Hollow form of Fury and the way Darksiders III redefines character progression within the game. Previous Horsemen of the Apocalypse from Darksiders and Darksiders II had their unique forms and weaponry that become a staple for the hack and slash action-adventure game franchise from developer Gunfire Games and publisher THQ Nordic. Upcoming Darksiders III is all set to launch for PC, PlayStation 4 and Xbox One in November 27, 2018. Earlier, the Flame Hollow form of the game's protagonist Fury was showcased in one of the trailer and now we are about to witness her Force Hollow form. Take a look at the Force Hollow trailer as Fury jumps into action in one of her newly revealed form that entirely decimates her enemies. In terms of character progression, the game takes a giant leap and changes a few things about the primary character Fury than her warrior brothers War and Death from prior titles when it comes to appear in battle as the third Horseman of the Apocalypse. Whereas War used to wield his Chaoseater blade and Death carried The Harvester scythe, Fury's weapon of choice is a 347 bladed whip, Barbs of Scorn. Just as she changes form during battles, her blades can become a Hammer in her Force Fury form. A reformed Scorn taking the shape of a battle hammer complements her fighting style with a ball of energy around her. In her newest form, she has a purple aura around her and this one is the second form she can take among four by unlocking it throughout the game. Switching into these different forms and changing your weapon into many shapes is designed for more tactical approach to combat. This presents players with various opportunities to approach their deadly adversaries and defeat them in a confrontation. Whenever you engage a boss from any of the Seven Deadly Sins, each will fight you differently and challenge your skill in a unique way. For example, Sloth in subway stations will send off his minions to keep you busy and form bubbles of poison to infect you. Another fine aspect of the game is that there are no arranged lines for you to face the bosses. Players can make up their mind on which boss they want to encounter in various point of the story progression, something that most other game lacks. 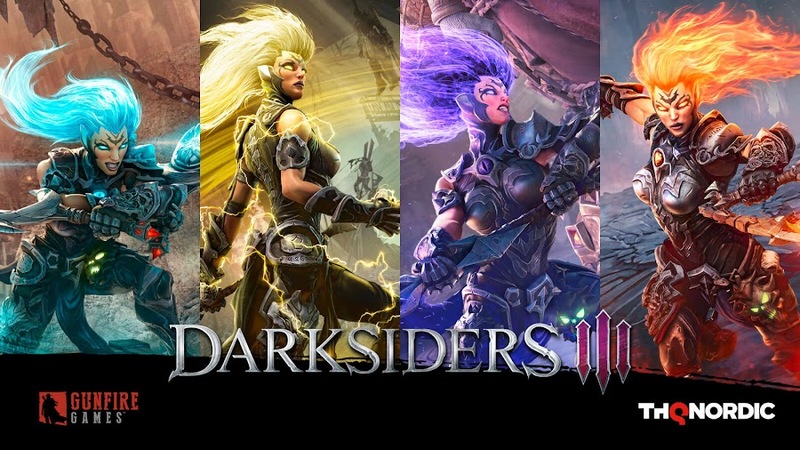 The studio shows their clear intention of moving afar from how the series used to move forward with gameplay and about to create a complex character with Fury in Darksiders III, which will be a defining point for the franchise for sure. When one of her newest form will be revealed soon, we expect to see her display some new and awesome array of abilities while her Scorn probably takes the shape of a powerful blade maybe? We believe, Gunfire Games may even end up giving her the ability of flying. 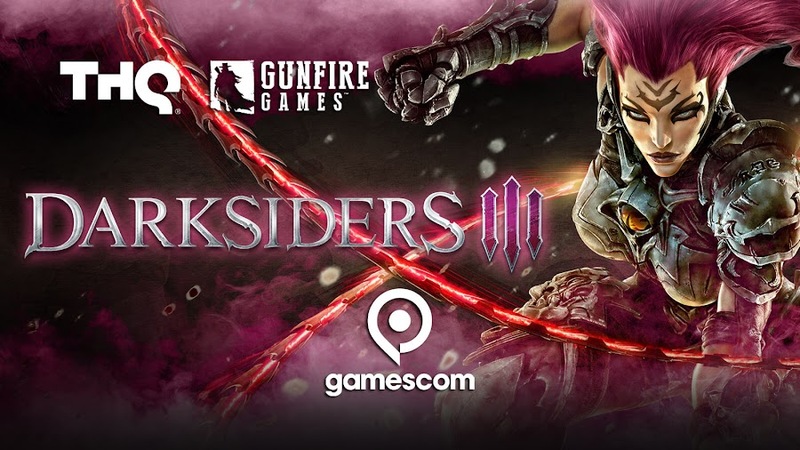 New action-packed trailer of Darksiders III at Gamescom 2018 features Fury alongide her Horsemen brothers. After two fan-favorite installments, what Darksiders franchise suffered is a six year-long gap when THQ was completely bankrupt in 2012. However, things came back in track when Gunfire Games took charge of development for the third game of the series and thus, came hack and slash action-adventure Darksiders III. We are only three months away from the title to release on November 27 for PC, PlayStation 4 and Xbox One while GamesCom 2018 brought us a brand-new trailer. The trailer is a mix of the story focusing on Fury, one of the Four Horsemen of the Apocalypse and some of her actions within the game. Fury is tasked to hunt down Seven Deadly Sins on a ravaged Earth, where she unleashes her true nature to slay down beasts of all sorts that came in her way. 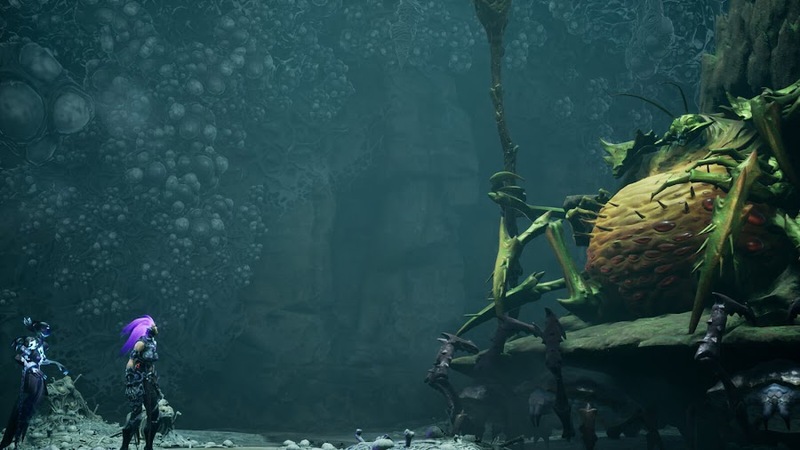 During her mission set by the Charred Council, she came across some giant bizarre creatures, which are possibly the boss characters and we see her excellent combat skills with her long-range whip. It is safe to admit that Fury packs a better move set than her brothers considering their usability in combat and they are far more practical too. 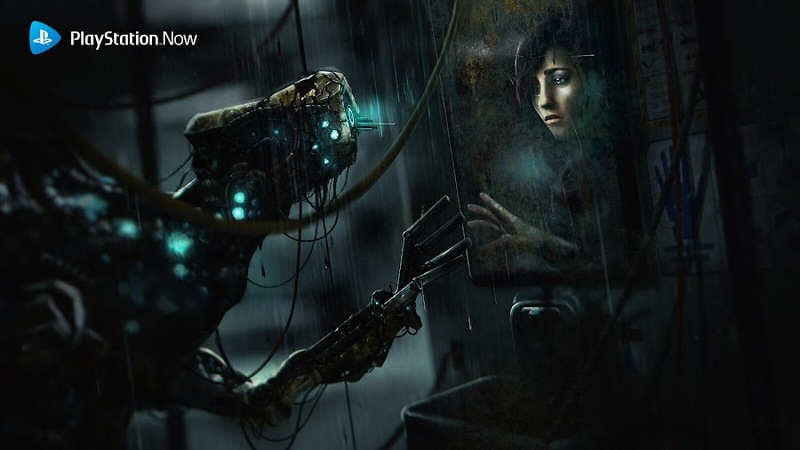 Fraction of her gameplay footage also showcases surroundings from a ruined world and demonic entities that inherits it now. One other thing to notice here is that, the gameplay mechanics have improved to make all of her moves fluid smooth. At one point, she is also met by Horseman War and Death but what significance they bring to her story is still unclear. This might also be from a flashback sequence that is to serve as part of back-story for protagonist Fury to visit Earth. One thing the Darksiders franchise maintained throughout years is that a very engaging gameplay that keep players hooked for hours and transform them into fans. 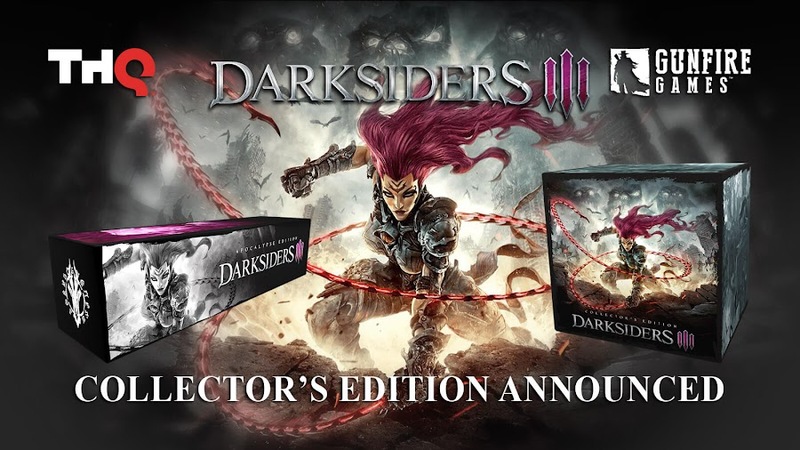 To get some exclusive merch for displaying and in-game digital content to enjoy, you can either order the Collector’s Edition or the Apocalypse Edition of Darksiders III. 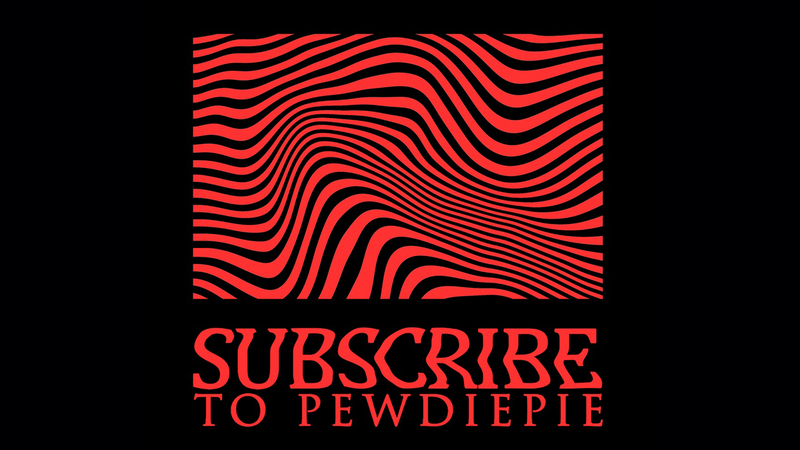 Players are also allowed to place their pre-order on GOG or Steam ahead of release. After the release date got leaked, Collector’s Editions for Darksiders III featuring Horseman Fury is finally unveiled. 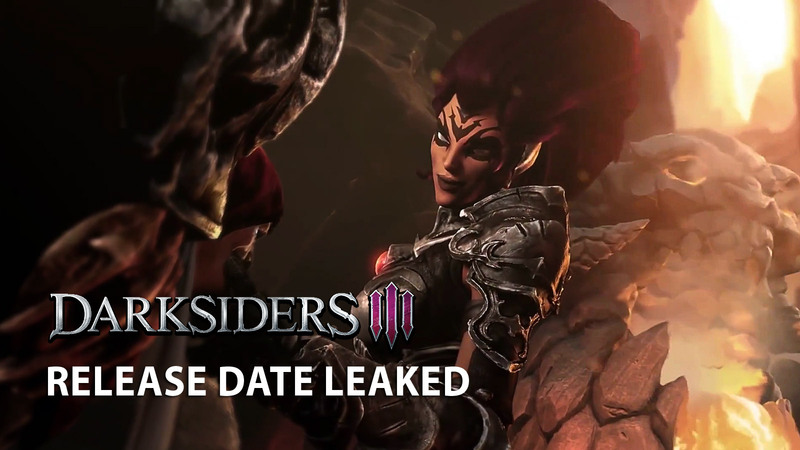 Following THQ coming back from going completely bankrupt in 2012, Darksiders III was being developed by Gunfire Games and on May 2, 2017, it was accidentally revealed through an Amazon listing leak before it was officially announced. Recently, a release date set for November 27, 2018 also got leaked by an advanced listing from Microsoft Store. So, it was time that the studio behind the project reveals at least something on their own; like the planned special editions. 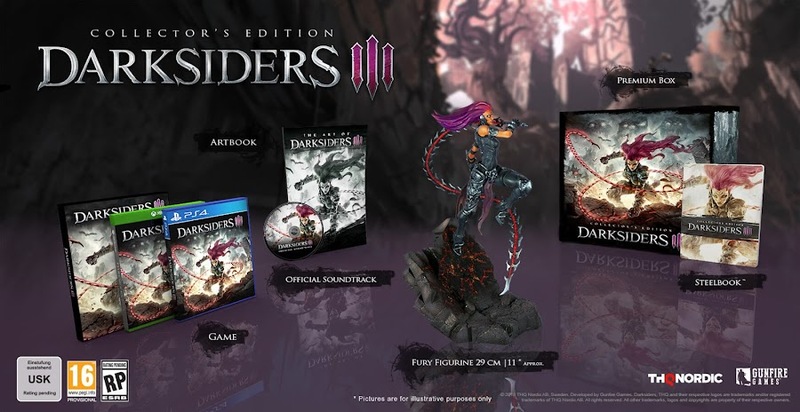 We offer you an exclusive look at the contents and features of Darksiders III Collector’s Edition in new trailer below. 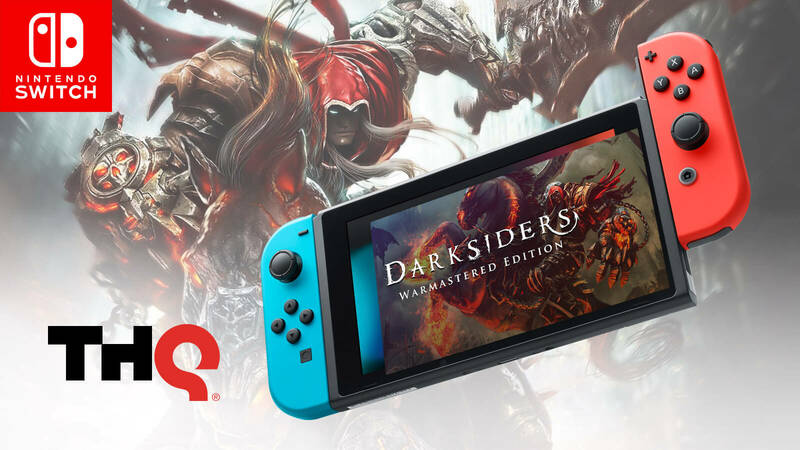 For $59.99 only, you can purchase Darksiders III Standard Edition or simply just pre-order it. 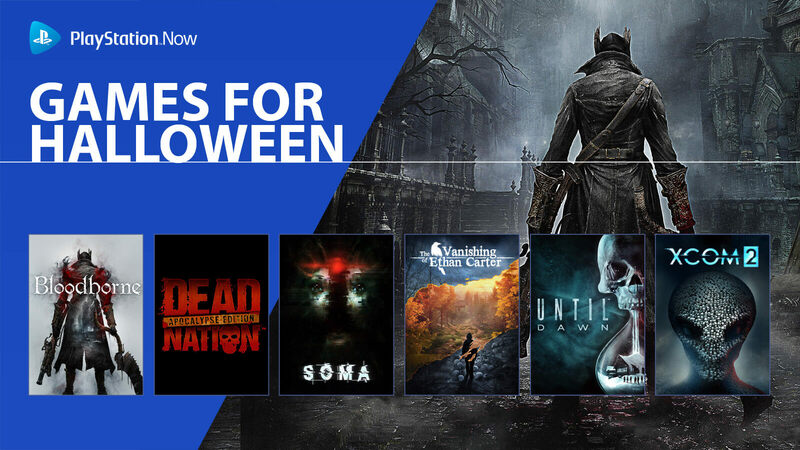 Two other special edition of this AAA game title will be released at the same time packed with extra goodies and content pack. A DLC titled "Fury Exclusive Armor Set" will be added as pre-order bonus, which is entirely cosmetic and doesn't gameplay in any manner as well as a 24 hour Early Access on consoles and a 12.5% discount. 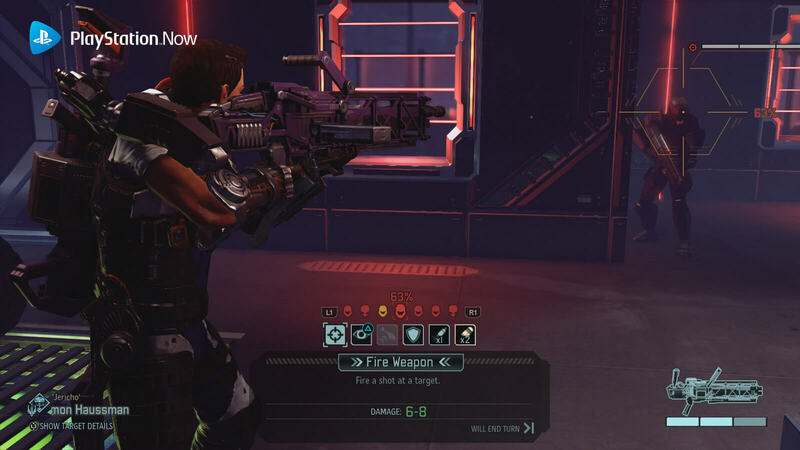 For a digital copy, players can choose to purchase from GOG or Steam. Now prepare to be dazzled by a brief look at the Apocalypse Edition for Darksiders III, which has a load of collectibles included. 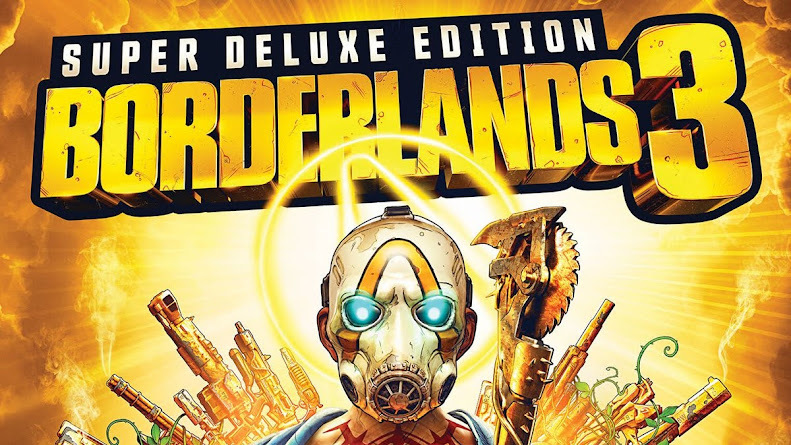 Spending $149.99 can get you the Collector’s Edition, which comes with a copy of the game, an art-book, an exclusive SteelBook case, armor DLC, official soundtrack collection and a stunning Fury figurine that is 11 inch tall. The Apocalypse Edition on the other hand comes only for $399.99 is a massive treat for fans. Offering all of the above and a 30”x 40” hanger attached wall scroll, an amulet of Four Horsemen with necklace along with statues of Death, War and Vulgrim the shopkeeper. Only four months away from release, Darksiders III will be available on PC, PlayStation 4 and Xbox One. Following the immense success of both Darksiders and Darksiders II, a third installment was almost inevitable. Much more specifics are going to be revealed later but are kept secret for now. According to THQ Nordic, the game is in final stage of development and a brand-new gameplay video is about to drop very soon to unleash the Fury. 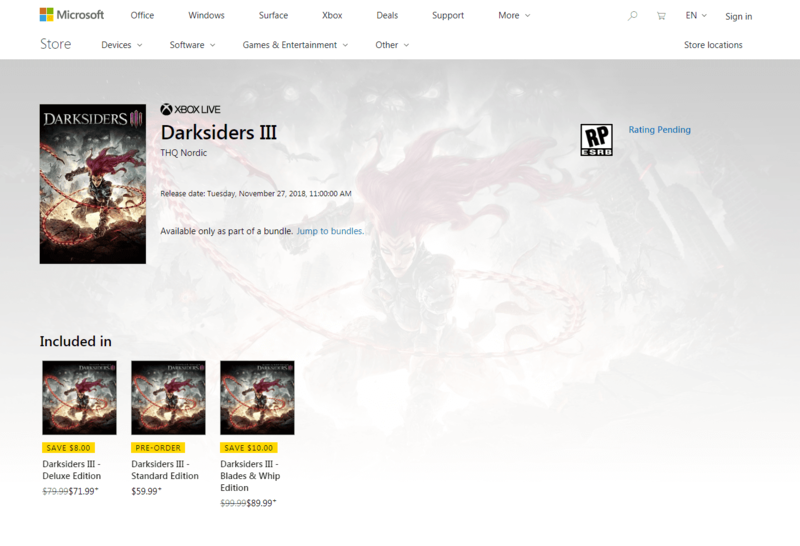 Microsoft Store might have unintentionally leaked the release date for upcoming hack and slash action-adventure Darksiders III. One of the most anticipating game news action-adventure fans were dying to hear was something new about Darksiders III. This upcoming hack and slash title from Gunfire Games and THQ Nordic have players waiting eagerly to get a glimpse of a new gameplay, trailer or news of a release date during E3 2018 press conference but got nothing so far. However, looks like we have a launch date ahead of us this year on November 27, 2018, courtesy of a recent Microsoft Store leak. The first game of the series, Darksiders came out in 2010 for PC, PlayStation 3 and Xbox 360, where players assume the role of War in an apocalyptic future. Since he arrived at work pretty early, he messed up and got into trouble. A sequel, Darksiders II was released in 2012 where Death of the Four Horsemen of the Apocalypse, tries clearing out his brother's name. 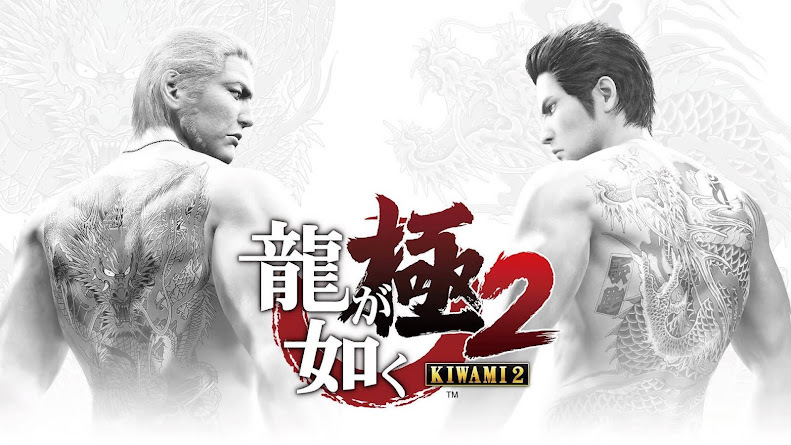 It was available for all platforms mentioned above including PlayStation 4, Wii U and Xbox One before going into a six-year hiatus. 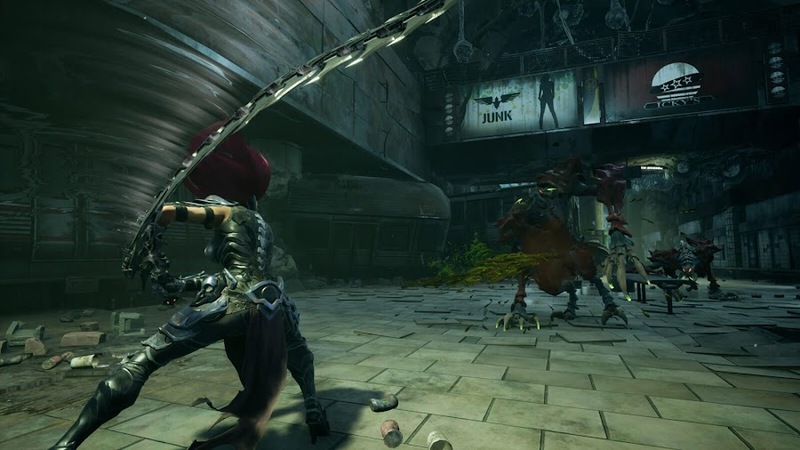 The third entry of the fan-favorite series, Darksiders III features Fury, a whip-wielding female "Horseman". She came back to the same war-torn Earth to finish what her brothers' started; seek out and destroy the Seven Deadly Sins. This feminine iteration of a Horseman the story is probably to replace the fabled Famine, because starvation apparently doesn't suit very much for an action-adventure hack and slash game. Compared to a whip lashing protagonist, it would seem lame. The title was initially stuck into development hell for a long period of time from 2012 as original developer of the franchise; Vigil Games was shut down due to its parent company THQ going completely bankrupt. 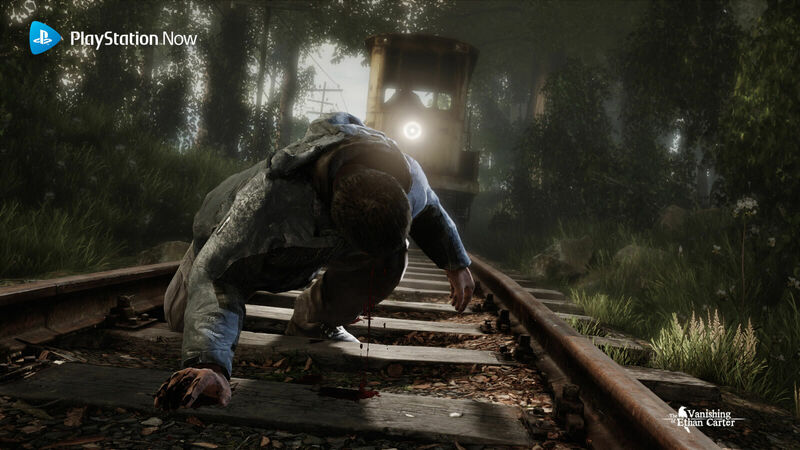 In 2013, Nordic Games bought the rights to the game series to work on it suggesting it won't come out before two years. Then on May 2, 2017, the title was accidentally revealed through a leak from Amazon listing, a day before it was officially announced by the publisher. 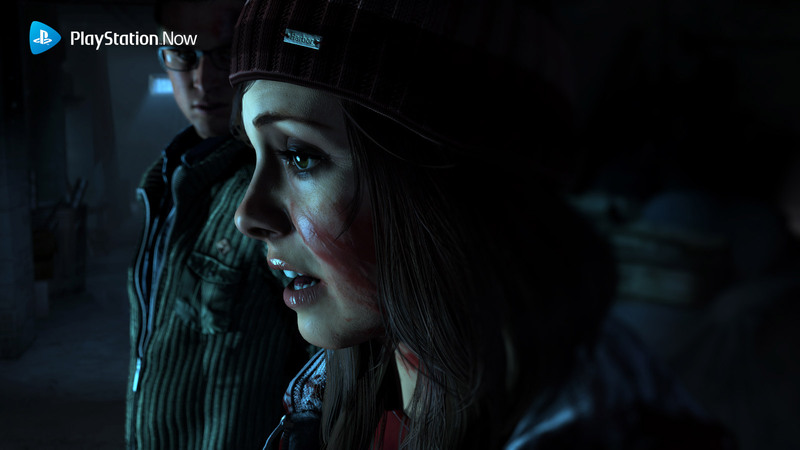 Despite the product page of the game at Microsoft Store showing a November 27 release date in the first place, now it has been replaced by saying "Coming Soon". 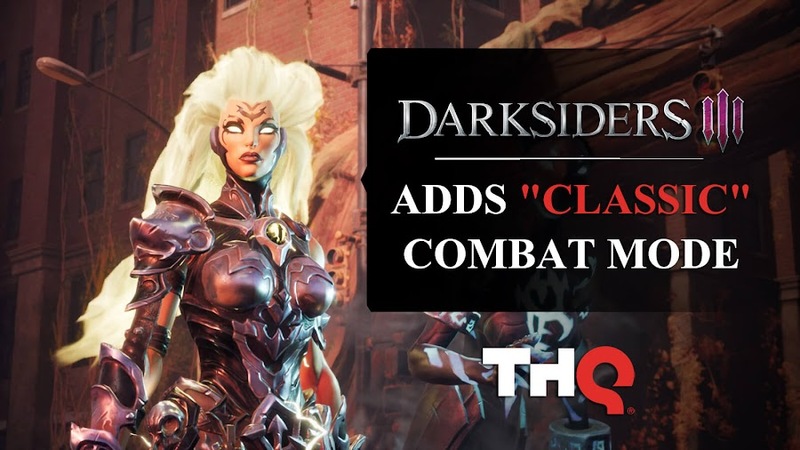 Considering Darksiders III is only four months away from release and the news is already out, an official announcement from THQ will probably arrive soon. 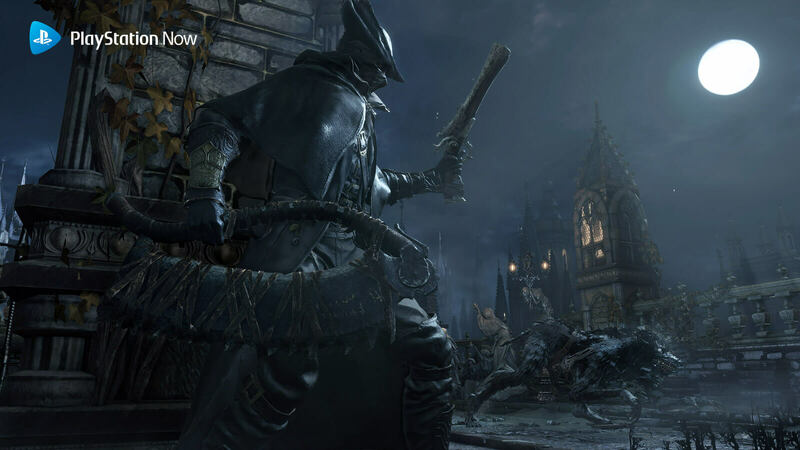 When the game was not showcased on E3 event last month, many believed that it may not relapse in 2018 but the leak suggests the studio is almost finished making it.